It all starts with a walk along the beach in Lincoln City—sea grass blowing in the wind, the sound of the Pacific crashing against the shore—and wandering up to the high tide line, something sparkles in the hollow of a driftwood log. 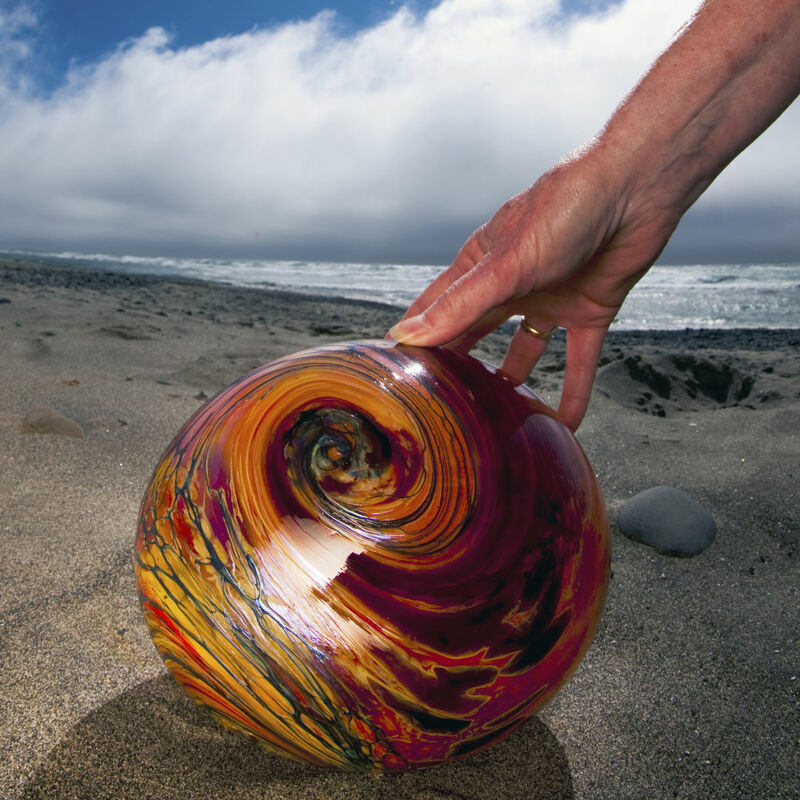 A blown glass float, swirling with color, hidden by a volunteer “Float Fairy” and part of Lincoln City’s 20-year Finders Keepers program—is yours now. For two decades, Float Fairies have been hiding treasure for visitors to find along Lincoln City’s seven miles of sandy beach, from gorgeous glass floats to unique glass art pieces. This real-world treasure hunt began in 1999 as a way to celebrate the new millennium and as a nod to days past when Japanese fishing floats would wash up on the beaches. The original blue and green floats were used to keep fishing nets aloft and could be two inches to two feet in size, and while rare, they can still be found to this day. 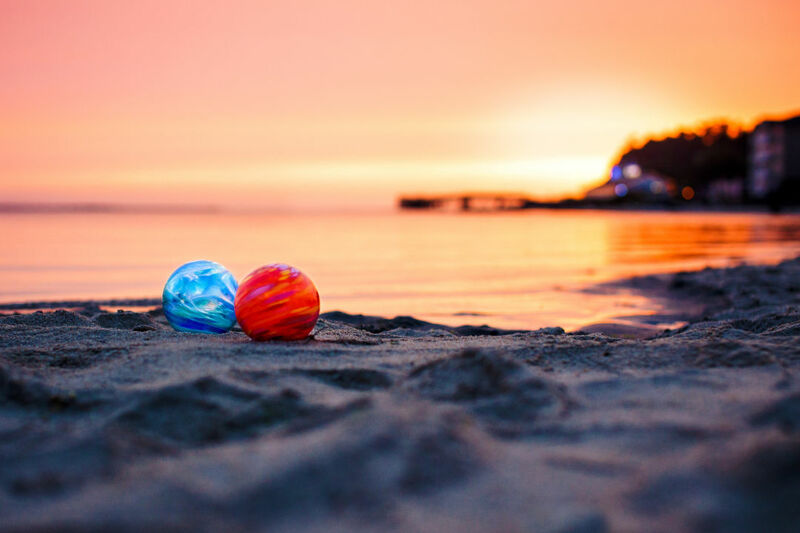 Contemporary artisan handcrafted floats can now be found year-round, marking the most significant change to the signature treasure hunt since its inception. Over 3,000 of these highly coveted prizes are placed on the Lincoln City beach each year. 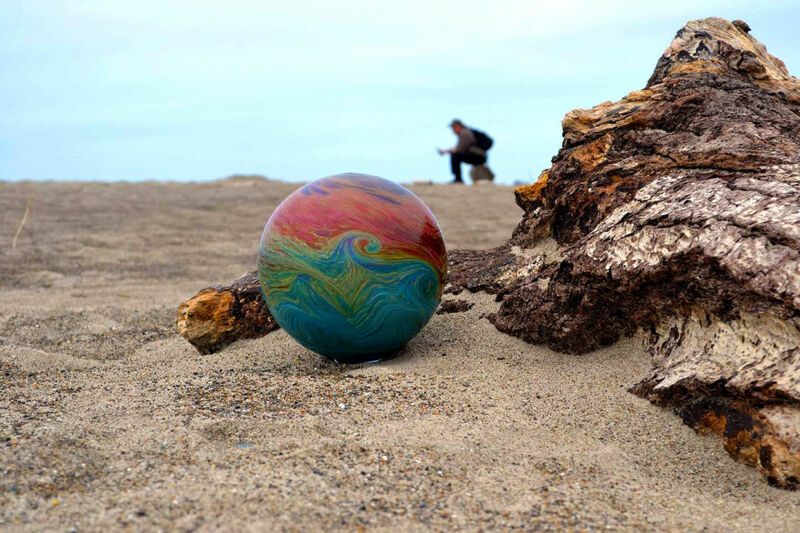 For an artistic twist during Finders Keepers’ milestone year, 20 special, limited edition floats are being dropped along Lincoln City beaches on the 20th of every month and will continue through September 2019. Floats are supplied by glass artists, like Kelly Howard of the Lincoln City Glass Center located in the Taft District on the southern end of Lincoln City. Howard studied under Washington glass art master Dale Chihuly and incorporates his hands-on techniques—through the blow-your-own float program offered at Lincoln City Glass Center. 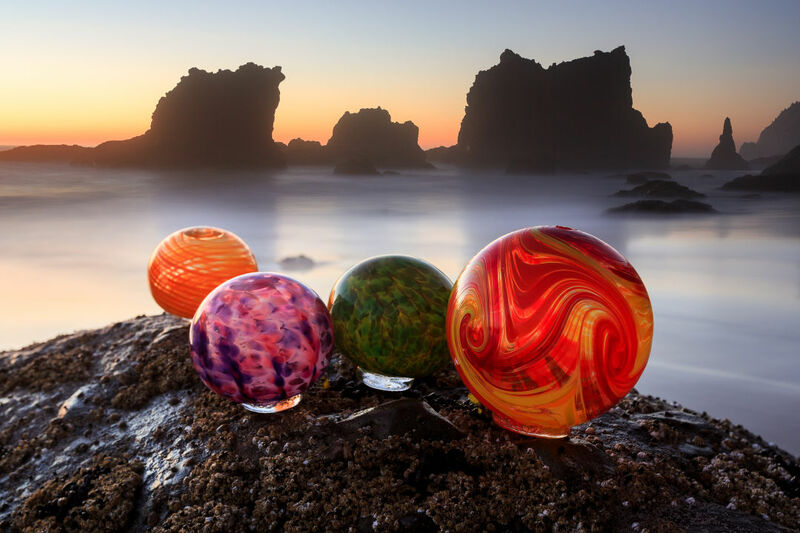 Glass floats can be found from the beach in Lincoln City from Roads Ends to Siletz Bay, with the hunt having a few general rules of thumb: 1) Floats are placed on the beach during daylight hours only; 2) Floats are hidden throughout the day, not just at one time; 3) Floats are out there every day rain or shine. On rare occasions, weather and ocean conditions can create unsafe situations, official notice of any cancellation is made on official Explore Lincoln City social media channels and website. First-time hunters, seasoned seekers alike, join in one of The Coast’s premier events, now every day. So, comb one, comb all. Find a float. Collect a memory. For more information about Finders Keepers, visit ExploreLincolnCity.com or call 541-996-1274.